(13). Tretinoin also has the capacity to bind cytosolic retinoid-activating binding proteins (CRABPs) that exist in two forms, I and II, and act as buffers for retinoic acid by controlling free intracellular concentration (3,10,11). Retinoid potency correlates with affinity for the RARs but not for CRABPs (11). Tretinoin is available as 0.025%, 0.05%, and 0.1% creams, 0.01% and 0.025% gels, and 0.05% solution, with 0.025% cream having the least and 0.05% solution having the most irritation potential (2,3,6). Newer microencapsulated tretinoin gel and polyolprepolymer 2 gel forms are less irritating than other formulations of tretinoin (2,6,14). The tretinoin microsphere, available in 0.4% and 0.1% gel forms, encapsulates the molecule within a porous acrylate copolyer microsphere (2,15). This packaging system allows selective, time-released delivery of tretinoin to the follicle, leading to a decreased available concentration and lower irritation without diminishing the efficacy (2,15). In fact, the maximum comedolytic activity of tretinoin is reached at a concentration 5 to 10 times lower when the drug is used in a microsphere form (15). In addition, potential percutaneous penetration to the blood vessels is diminished (2,15). (16). This decrease in irritation was achieved without compromising treatment efficacy (16). Although the exact mechanism for these actions is unknown, one proposed mechanism is that the degree of irritation from tretinoin is related to the rate of initial penetration of drug and while the efficacy is more a consequence of mean molecular flux (16). The second topical retinoid developed for the treatment of acne is adapalene, a stable naphthoic acid derivative with both significant anti-inflammatory and comedolytic properties (6,11,17). Adapalene has been shown to have a more favorable sideffect profile than either tazarotene or tretinoin (6,17). It has a specific affinity for RAR beta and gamma subtypes in the terminal differentiation zone of the epidermis and does not bind to CRABP I and II due to steric hindrance (3,6,11,13,18,19). Adapalene treats acne by causing epidermal and follicular epithelium hyperplasia, increased desquamation, keratinocyte differentiation, and loosening of corneocyte connections (11,14,18). Adapalene is available as 0.1% cream, gel, solution, and pledget forms and is in clinical trials as a newer 0.3% gel formulation (2,20). The 0.1% gel has been shown to be as effective as tretinoin 0.025% gel with decreased irritation (2,20). The 0.3% gel has been shown to be safe and well tolerated for long-term use with almost doubled success over adapalene 0.1% gel without a significant increase in clinically relevant side effects (20). The release of adapalene from solution formulations such as lotions and hydroalcoholic gels is greater than when dispersed in creams or aqueous gels (18,21). The anti-inflammatory effects of adapalene result from inhibition of the oxi-dative metabolism of arachidonic acid by the 5 and 15 lipoxygenase pathways and through the inhibition of PMN chemotactic and chemokinetic responses (3,11). As such, adapalene has demonstrated superiority when compared to reference anti-inflammatory agents such as indomethacin and betamethasone valerate (22). Other contributing factors for the lower skin irritation induced by adapalene include its different RAR subtype-binding pattern and more neutral molecular structure, which makes it less likely to nonspecifically interact with cell membrane function (3). Its high melting point and low solubility result in low flux through the skin, leading to high concentrations in the stratum corneum and hair follicle, where it can best act to prevent and treat acne (11). Tazarotene is a topical retinoid that has demonstrated superior efficacy when compared with other topical retinoids in the treatment of acne (23). Tazarotene is available in 0.05% and 0.1% cream and gel formulations (2). Tazarotene is selective for RAR beta and gamma subtypes (13). Although tazarotene does not directly bind to the RXRs, it does isomerize to 9-cis-RA, which weakly binds all RXRs leading to a degree of transactivation (21). The precise mechanism of action of tazarotene is unknown, however, it is postulated that through the activation of retinoid receptors, retinoid responsive genes are upregulated impacting the differentiation of keratinocytes. Similarly, by inhibiting proinflammatory transcription factors, tazarotene causes decreased cell proliferation and inflammation (21). Tazarotene penetrates the skin but accumulates in the upper dermis (24). The molecule remains concentrated here with very little absorption into blood vessels or lymphatics (24). The topical retinoids induce specific changes in the structure and morphology of the skin. Normal epithelial cell differentiation is a vitamin A-dependent process (25). The presence of vitamin A alters the size of the keratin molecules synthesized by keratinocytes (25). When small keratin molecules are produced, a secretory-type epithelium is generated. A stratified squamous epithelium is induced when larger keratin molecules are synthesized (25). In the absence of vitamin A, cells differentiate toward keratinizing epithelium (25). Keratinocytes within each layer of epidermis possess a distinct set of proteins unique to their stage of differentiation (26). As undifferentiated basal cells mature and migrate up through the epidermis, their pattern of protein expression changes (26). Once these cells arrive at the stratum corneum, the intracellular organelles have been catabolized and cytoplasmic and membrane proteins altered so as to produce a layer of dead corneocytes with thick keratin fibrils within a dense matrix (26). As a group, the retinoids alter this process by inducing dose-specific ker-atinocyte proliferation and reversing the abnormal keratinocyte desquamation found in acne (26). This helps form a thicker layer of suprabasal cells, but a thinned, loose stratum corneum (2,3,26). Topical retinoids increase the rate of kerati-nocyte turnover resulting in an increased rate of follicular proliferation and differentiation (24). This results in decreased follicular occlusion and faster microcomedone clearance (3,24). Specifically, topical retinoids cause basal and spinous epithelial cell proliferation and reduce the size and adhesion of corneocytes by decreasing filaggrin expression and suppressing the normal proteolysis of keratins 1 and 14 (1). In addition, retinoids thin the stratum corneum by causing desmosomal shedding, decreasing tonofilaments, and increasing keratinocyte autolysis (1,8,27). Epidermal cell commitment to proliferation and differentiation can be altered by the topical retinoids. Normal keratinocyte differentiation involves the expression of keratins K1 and K10 (26). An alternative pathway of differentiation compatible with hyperproliferation occurs upon suprabasal expression of K6, K16, and K17 (26). Cells expressing K6 and K16 enlarge as they migrate to the surface and do not produce keratohyalin granules or lose their nuclei before desquamating (26). The dose-dependent epidermal acanthosis results from increased number of cell layers, not from hypertrophy of individual cells (9). There is no change in structure or size of sebaceous glands after treatment with topical retinoids (9). All of the above factors demonstrate that comedolysis is retinoid-specific, not simply secondary to desquamation (3). 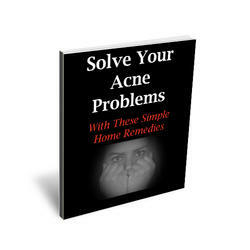 Retinoids also have secondary effects that facilitate acne clearance. By weakening and loosening the cornified layer and decreasing the number of corneocytes, skin permeability is increased (2). This facilitates the absorption of other topical agents, such as antimicrobials or benzoyl peroxide (2). Increased cell turnover within the follicular epithelium also allows more oral antibiotic to enter the follicu-lar canal where P. acnes is concentrated (2). This increases antimicrobial activity, lowering the potential for antibiotic resistance from inadequate concentrations (2). 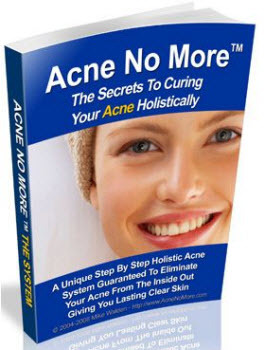 By increasing the rate of acne clearance, the overall duration of antibiotic treatment and chance for antibiotic resistance can be reduced (2,6). In addition, this modification of skin morphology creates a more aerobic environment and decreases the ability of P. acnes to proliferate (2).